• RideMonitor™ Mode adjusts as needed while driving or parked. 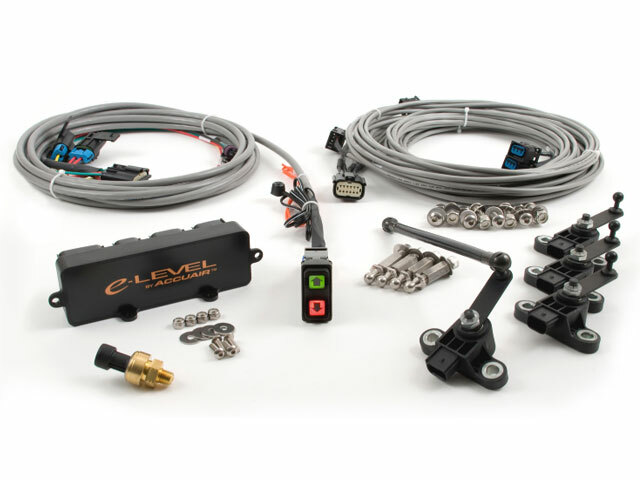 • TruPosition™ Height Sensors provide accurate leveling regardless of load. • Ride-Height-on-Start gets you ready to drive when you turn the key. • Anti “Cross-loading” Technology gives balanced spring weights. • Key-Chain Remote (optional) accesses your 3 programmable heights from up to 200 ft away. 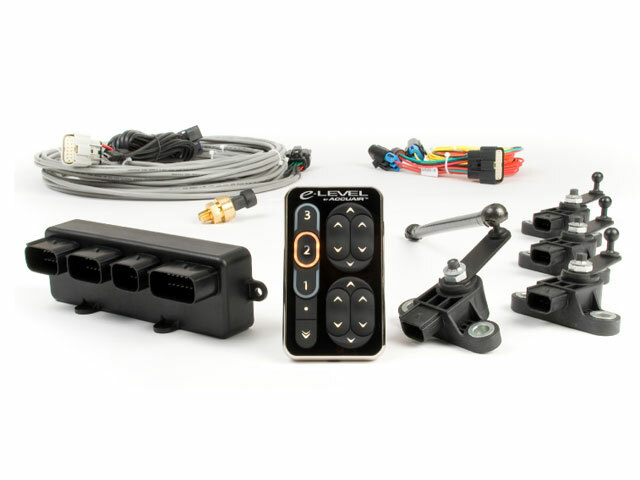 • Automatically Calibrates to any Air Suspension System on any vehicle, (NO user programming required). • Straight to Height adjustments avoid valve “pulsing” and gets you ready to drive immediately. • Active Learning maximizes leveling performance after every adjustment. • Manages Air Compressors for faster height recovery. • Monitors Vehicle Voltage and automatically turns compressor(s) OFF at 10.5 volts to prevent a dead battery. • 100% Weather-Proof for under vehicle mounting. • Plug-n-Play wiring harnesses for ease of installation.